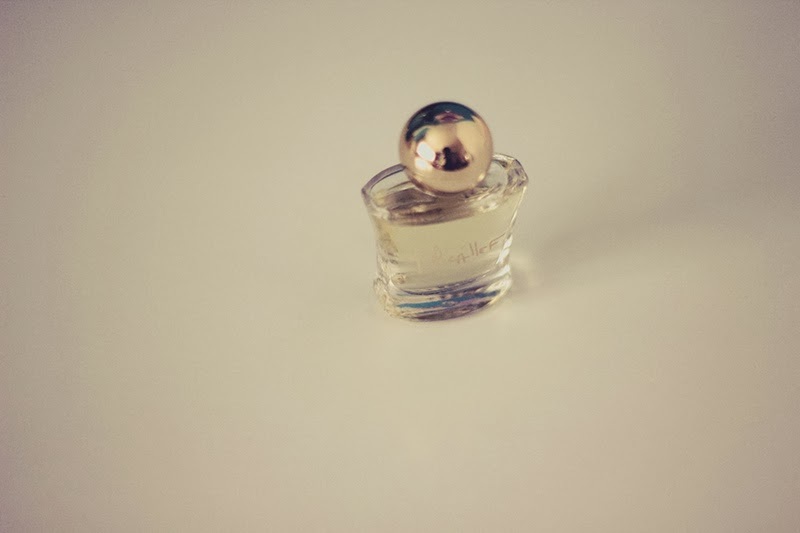 I really do adore perfumes. They can say and reflect a lot about a person, I think I've always been drawn to certain notes. My love affair with perfume has been one from early childhood, I would sneak into my nan's room and dab her perfume onto my neck. I use to dowse my school jumper in Calvin Klein Eternity. As I've got older, I've developed my own 'trademark notes'. Woody, floral, fruity are my favourites that can be hidden within the top heart or base. More often when I see certain names, I'm automatically drawn to them, Ylang Ylang, is one. M. Micallef Ylang in Gold, could I say no? Of course not, a full sized 100ml bottle is quite an expensive bottle. When this was released in 2012 as part of the Collection Jewel the notes of this fragrance were kept secret until the launch. Ylang Ylang, sandalwood, lily of the valley, magnolia, mint, coconut, vanilla, musk, moss. 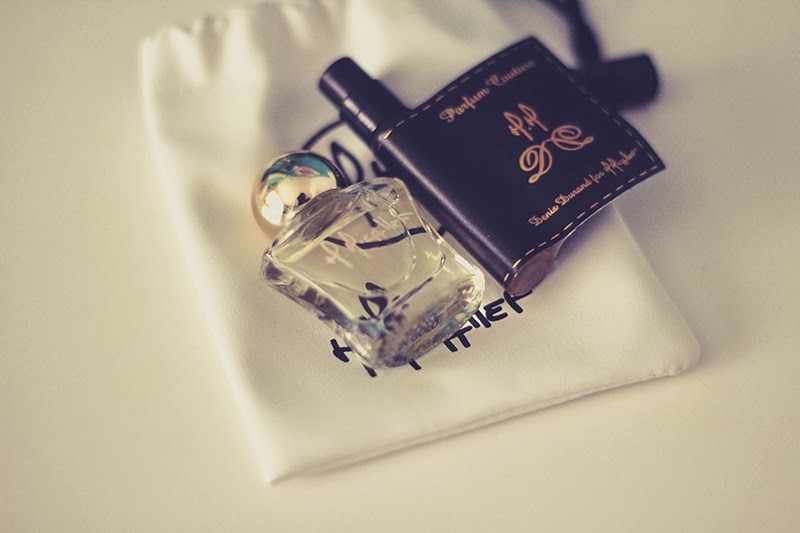 The scent isn't daring, it's alluring in the sense that it's soft and easy to wear. Vanilla & Ylang Ylang come through very prominently. The actual EDP comes in two different types. You can have Ylang in Gold that is infused with a 24k gold powder which leaves a sheer, subtle gold shimmer onto your skin where you've sprayed. That might not be for everyone. There's the second bottled called Ylang not in Gold, which leaves the shimmer out but the bottles are still the same, decorated with Rhinestones and a gold top. The worst part about this, I cannot find anywhere that stocks this fragrance or prices. A price I have seen floating around was $265 for 100ml. That little black spray bottle on the right is the Denis Durand Couture. Upon first spritz, I get this strong musky aroma, it was enough to make me move back. As I let it sit on the skin, it settles in. Base Notes: sandalwood, patchouli, amber and white musk.